OS Experience unleashes the true power of your iPad: it brings true multitasking to your iOS 7 device. OS Experience is a window manager that allows multiple apps to be run at once; no longer are you confined to just one app at a time. This allows for the maximum productivity the iPad can deliver, by allowing multiple tasks to be completed at once. It is a must-have tweak for any power user. Influenced by Mac OS X, OS Experience not only is a window manager, but also a beautifully-designed multitasking switcher. Similar to Mission Control, multiple desktops can be created for app windows to be separated into for organization, so windows aren't stuffed into one space. 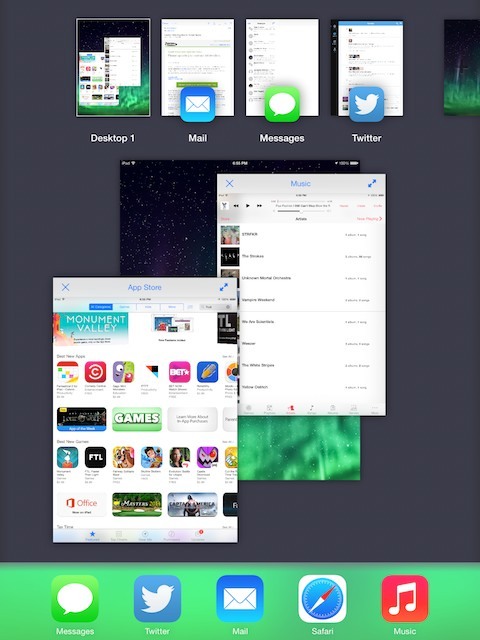 Similarly, apps can be maximized to take up an entire space themselves, like iOS normally does. These spaces can then be quickly slid back and forth with multitasking gestures. 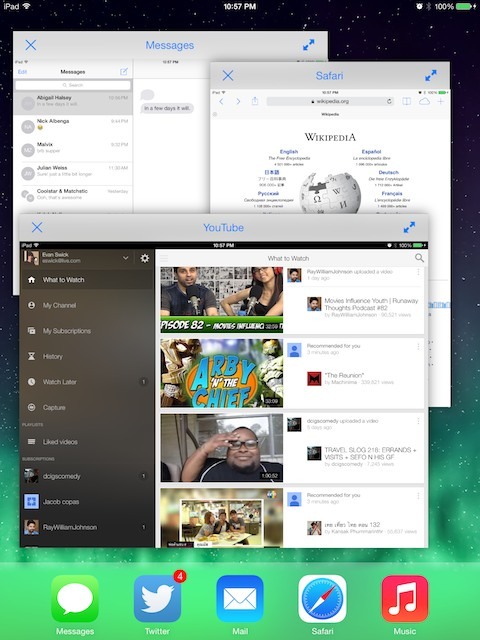 Also in the multitasking switcher are live previews. These mirror what the apps are currently displaying, instead of just static snapshots like iOS normally displays. This way, you can quickly check in on an app's status without needing to move to it. OS Experience is the perfect companion for any iPad. It brings out the true power in the device. True multitasking is something that many other tablets on the market have had over the iPad. With OS Experience, those days are long gone.